Based on personal experience, I would have to guess that most of us have already completed this Xbox 360 achievement at some point in the last couple of years. 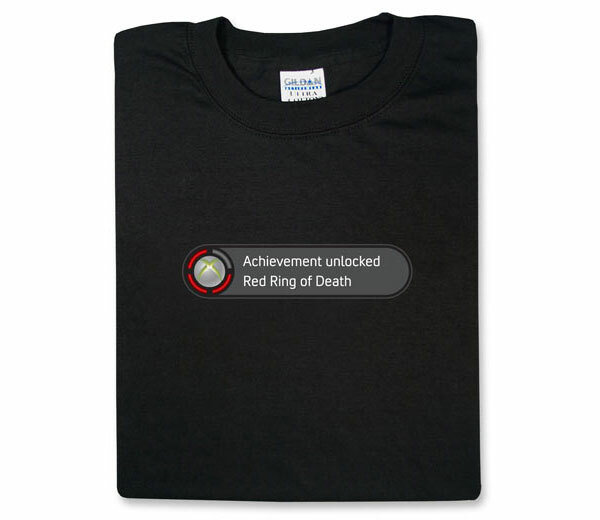 This Red Ring of Death achievement T-shirt is bound to draw a few chuckles from your gaming buddies, and maybe a few sobs from the ones who’ve lost a console or two to the dreaded RRoD over the years. And when you’re not wearing it, you might be able to use it to sop up your console’s excess heat in place of the old towel trick. You can grab one of these T-shirts over at ThinkGeek for $15.99 to $17.99 (USD), depending on your shirt size.